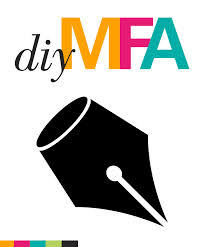 Stay tuned for Part Two of my WDC coverage at DIY MFA tomorrow! Did you also attend this year’s Writer’s Digest Conference? What are some of your most memorable quotes from that event, or from other literary conference you’ve attended? I wish I could have gone! Sounds like a blast. That’s weird… No one has ever told me they’d had problems like that before while accessing the site. Maybe it was a fluke, like you’d said? Yeah, it’s happened three times now. The browser keeps saying your certificate is bad. Maybe I need to clear my cache. I just checked out those quotes – they’re so wonderful! Great post from DYI MFA, Sara! I’ll be sure to check out the part two. This conference sounds like a whirlwind but so amazingly educational at the same time; I can’t imagine how busy you must have been! This is so damn true!